We are proud to announce that this Oct 28th, 2:00 PM to 4:00 PM we will be hosting an Open House at 1007 565 SMITHE STREET in the Downtown VW neighborhood, Vancouver West. This is an opportunity to visit this excellent Condo for sale in beautiful Downtown VW. We are proud to announce that this Oct 27th, 2:00 PM to 4:00 PM we will be hosting an Open House at 7 2128 W 43RD AVENUE in the Kerrisdale neighborhood, Vancouver West. This is an opportunity to visit this excellent Condo for sale in beautiful Kerrisdale. We are proud to announce that this Oct 27th, 1:30 PM to 3:00 PM we will be hosting an Open House at PH308 1977 STEPHENS STREET in the Kitsilano neighborhood, Vancouver West. This is an opportunity to visit this excellent Condo for sale in beautiful Kitsilano. We are proud to announce that this Oct 27th, 2:00 PM to 4:00 PM we will be hosting an Open House at 1 3238 QUEBEC STREET in the Main neighborhood, Vancouver East. This is an opportunity to visit this excellent Townhouse for sale in beautiful Main. I just sold this Condo at 304 2355 W BROADWAY, Vancouver West, BC Kitsilano. I just sold this Condo at 103 3290 W 4TH AVENUE, Vancouver West, BC Kitsilano. We are proud to announce that this Oct 21st, 12:00 PM to 1:30 PM we will be hosting an Open House at 303 55 E CORDOVA STREET in the Downtown VE neighborhood, Vancouver East. This is an opportunity to visit this excellent Condo for sale in beautiful Downtown VE. We are proud to announce that this Oct 21st, 12:00 PM to 1:30 PM we will be hosting an Open House at 903 1661 ONTARIO STREET in the False Creek neighborhood, Vancouver West. This is an opportunity to visit this excellent Condo for sale in beautiful False Creek. We are proud to announce that this Oct 21st, 2:00 PM to 4:00 PM we will be hosting an Open House at B208 1331 HOMER STREET in the Yaletown neighborhood, Vancouver West. This is an opportunity to visit this excellent Condo for sale in beautiful Yaletown. We are proud to announce that this Oct 21st, 2:00 PM to 4:00 PM we will be hosting an Open House at 302 1501 HOWE STREET in the Yaletown neighborhood, Vancouver West. This is an opportunity to visit this excellent Condo for sale in beautiful Yaletown. We are proud to announce that this Oct 21st, 1:00 PM to 3:00 PM we will be hosting an Open House at T15 1501 HOWE STREET in the Yaletown neighborhood, Vancouver West. This is an opportunity to visit this excellent Townhouse for sale in beautiful Yaletown. I just sold this Townhouse at #102 426 Beach Crescent, Vancouver , BC Yaletown. We are proud to announce that this Oct 20th, 2:00 PM to 4:00 PM we will be hosting an Open House at 206 935 W 15TH AVENUE in the Fairview VW neighborhood, Vancouver West. This is an opportunity to visit this excellent Condo for sale in beautiful Fairview VW. I just sold this Condo at 201 2405 W BROADWAY, Vancouver West, BC Kitsilano. We are proud to announce that this Oct 20th, 2:00 PM to 4:00 PM we will be hosting an Open House at 2001 1201 MARINASIDE CRESCENT in the Yaletown neighborhood, Vancouver West. This is an opportunity to visit this excellent Condo for sale in beautiful Yaletown. We are proud to announce that this Oct 20th, 3:00 PM to 5:00 PM we will be hosting an Open House at 1703 1077 MARINASIDE CRESCENT in the Yaletown neighborhood, Vancouver West. This is an opportunity to visit this excellent Condo for sale in beautiful Yaletown. We are proud to announce that this Oct 14th, 2:00 PM to 4:00 PM we will be hosting an Open House at 901 33 W PENDER STREET in the Downtown VW neighborhood, Vancouver West. This is an opportunity to visit this excellent Condo for sale in beautiful Downtown VW. We are proud to announce that this Oct 14th, 3:00 PM to 5:00 PM we will be hosting an Open House at 1007 565 SMITHE STREET in the Downtown VW neighborhood, Vancouver West. This is an opportunity to visit this excellent Condo for sale in beautiful Downtown VW. We are proud to announce that this Oct 13th, 3:00 PM to 5:00 PM we will be hosting an Open House at 1007 565 SMITHE STREET in the Downtown VW neighborhood, Vancouver West. This is an opportunity to visit this excellent Condo for sale in beautiful Downtown VW. We are proud to announce that this Oct 13th, 3:00 PM to 5:00 PM we will be hosting an Open House at 101 638 BEACH CRESCENT in the Yaletown neighborhood, Vancouver West. This is an opportunity to visit this excellent Condo for sale in beautiful Yaletown. I just sold this Condo at 213 808 E 8TH AVENUE, Vancouver East, BC Mount Pleasant VE. I just sold this Condo at 302 2815 YEW STREET, Vancouver West, BC Kitsilano. I just sold this Townhouse at 1216 W 12TH AVENUE, Vancouver West, BC Fairview VW. I just sold this House at 4152 PENTICTON STREET, Vancouver East, BC Renfrew Heights. 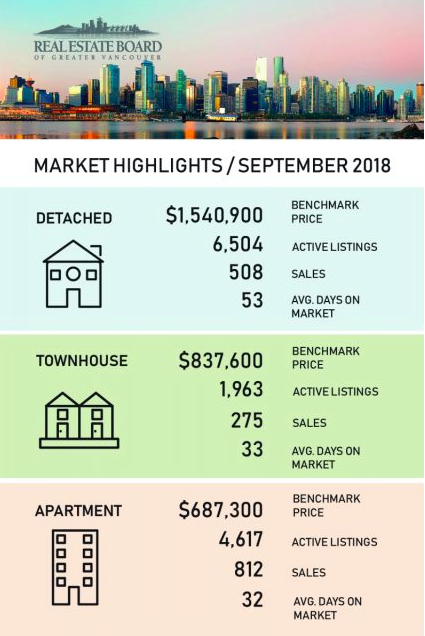 We are proud to announce that this Oct 7th, 2:00 PM to 4:00 PM we will be hosting an Open House at T15 1501 HOWE STREET in the Yaletown neighborhood, Vancouver West. This is an opportunity to visit this excellent Townhouse for sale in beautiful Yaletown. I just sold this Townhouse at 1 1155 W 10TH AVENUE, Vancouver West, BC Fairview VW. We are proud to announce that this Oct 7th, 1:00 PM to 3:00 PM we will be hosting an Open House at 1005 1238 RICHARDS STREET in the Yaletown neighborhood, Vancouver West. This is an opportunity to visit this excellent Condo for sale in beautiful Yaletown. We are proud to announce that this Oct 6th, 1:00 PM to 3:00 PM we will be hosting an Open House at 1005 1238 RICHARDS STREET in the Yaletown neighborhood, Vancouver West. This is an opportunity to visit this excellent Condo for sale in beautiful Yaletown. We are proud to announce that this Oct 6th, 2:00 PM to 4:00 PM we will be hosting an Open House at 303 1201 MARINASIDE CRESCENT in the Yaletown neighborhood, Vancouver West. This is an opportunity to visit this excellent Condo for sale in beautiful Yaletown. I just sold this Condo at 303 528 BEATTY STREET, Vancouver West, BC Downtown VW.